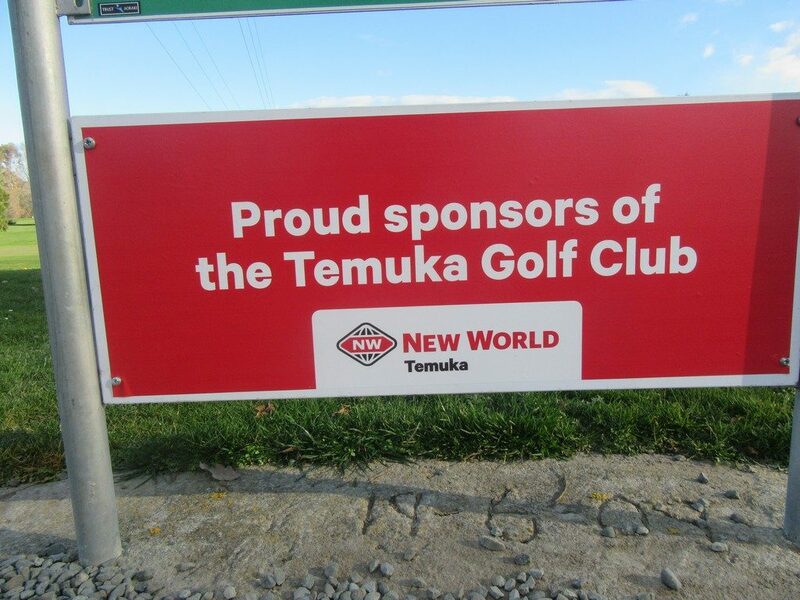 Course Tour | Temuka Golf Club Inc.
An accurate drive will set up for an easier second shot. 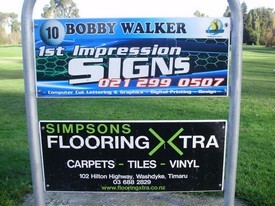 Out of bounds is on the right side. 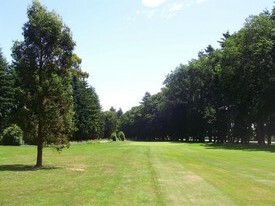 A mound and silver birches guard the left about 200m from the men's tee and 170m from the women's tee. A sand trap on the left 100m from the green needs to be avoided on your second but don’t push your shot into the silver birches on the right to avoid it. There are three bunkers around the green, one 10m in front of the green on the right side and one on each side about mid green. The green looks flat but watch for some of the subtle breaks, especially when the hole is towards the outside of the green. 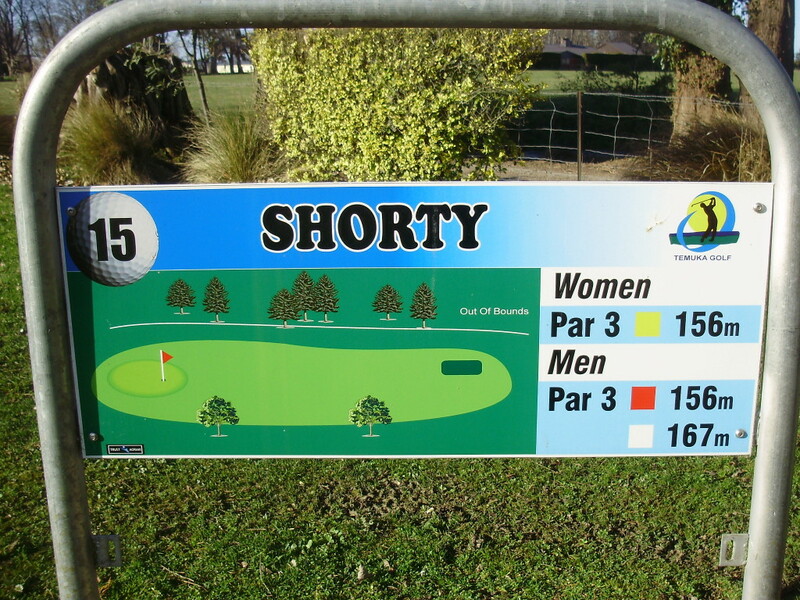 A long Par 3 for men, a bit shorter for women. 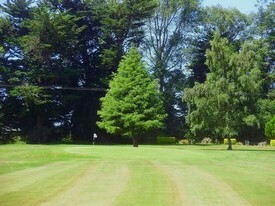 Don’t pull your drive (push for lefties) as 3 conifers on the left will leave little option other than to chip out. 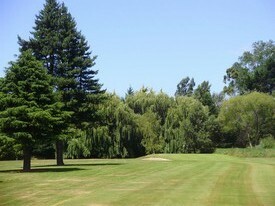 A group of small trees and a small mound guard the right side 20m from the green. 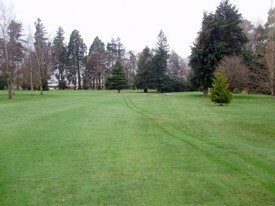 A small mound and a grass bunker protect the left side of the green and a sand bunker runs the length of the right side. Once again green looks flat but putts to and on the left side and the back of the green require more attention. 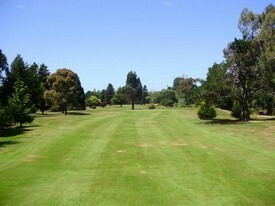 Another shortish Par 4 with a slight dogleg to the right 100m from the green. Drive down the left side of the fairway, there is more room there than it looks. 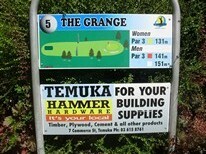 Bunkers protect the right side of the green, one just in front and the other at mid green. There is roll off on the left side of the green so a shot to the body of the green sets up an easy par. 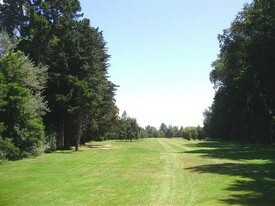 A mid length Par 4 that plays shorter as it normally has the breeze at your back. 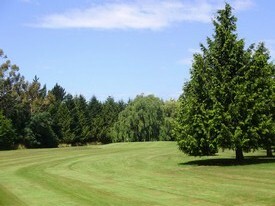 At the edge of the fairway at the 135m mark a mound on the left and conifers on the right require accuracy to allow a good position to attack the green with your second. 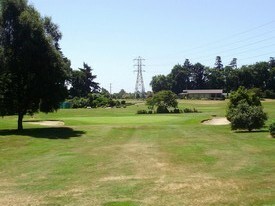 There is bunker in front of the green on the left side and two small grassy mounds on the right side protect the green. 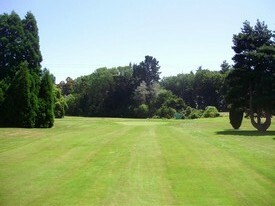 The green is over 30m long and any inaccurate seconds or chips will leave a very long putt. 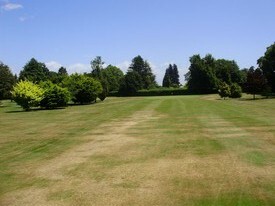 The green has a gradual slope left to right. 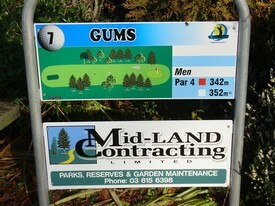 This is an interesting hole with a meandering gully creating interesting shots to the green. 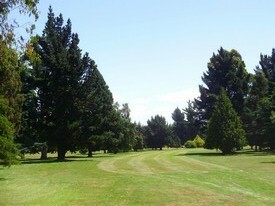 Out of bounds the length of the hole on the right and trees on both sides of the fairway 100m from green demand accuracy off the tee or a layup. 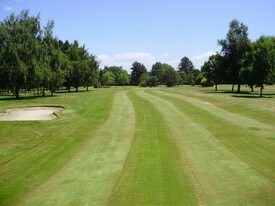 The green is reasonably flat but hole positions on the right side demand care with a chip or putt. 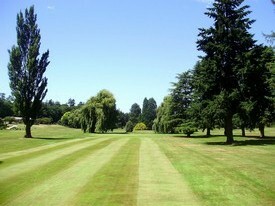 A straight forward short Par 3. 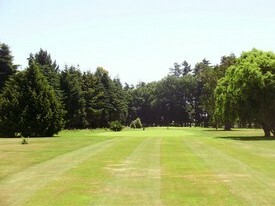 Sight of the green is hindered by the stop bank and bunkers protect the right and left side of the green. The green falls away from the centre on all sides so plenty of interesting putts. 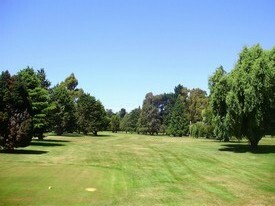 A shot to the middle of the green should see two putts and a walk off with a par or maybe 1 putt for a birdie. Challenging hole if you don’t get the drive right. 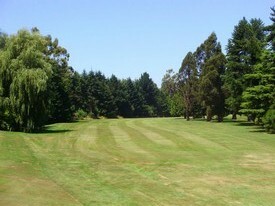 Out of bounds is on the left from the willow down, bluegums & conifers on the right and a dogleg 100m from the green demand an accurate drive. 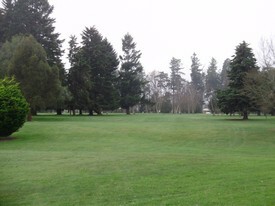 A tall conifer on the corner of the dogleg blocks any shots in the right rough. 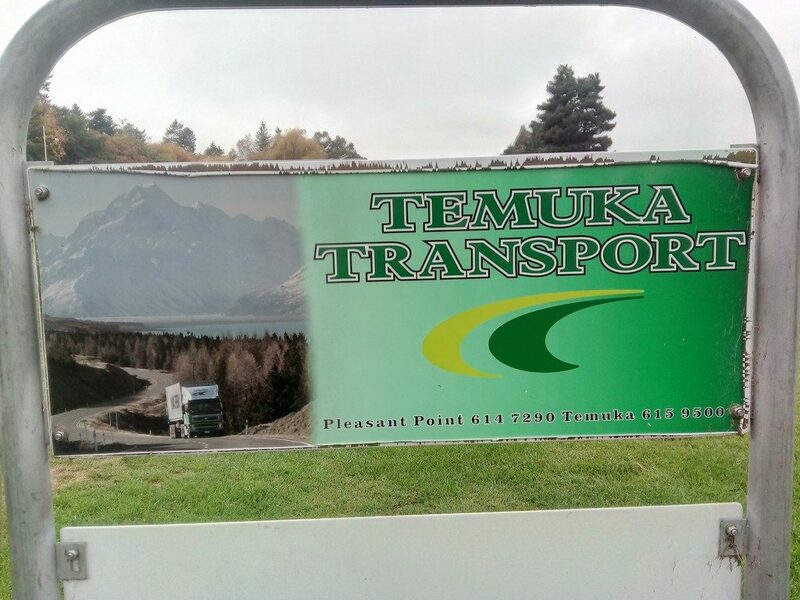 Unless you can hit a 220m drive a drive left of centre or laid up to the 135 mark give a chance of going around or over the conifer. 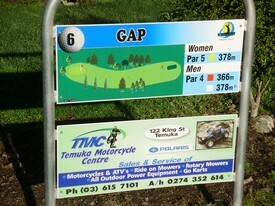 The green is on two levels and if you are on the wrong level a challenging 2 putts awaits. It is difficult decision to attack the pin when it is on the top level, get it wrong and go over the back a par is a remote possibility. 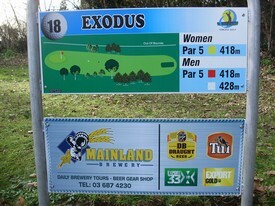 Bit of a driving range hole. 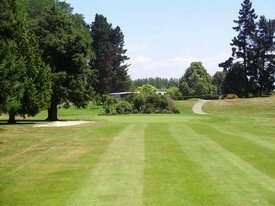 The fairway narrows 135m from the green with a mound on the left and a protruding conifer on the right and can make for a more difficult second shot. The green is protected by a mound on each side. These normally have a dense cover of grass and make for a challenging chip. 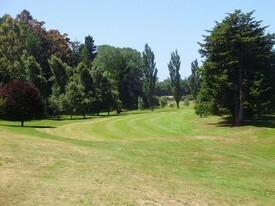 The green has a slight down slope towards the front. 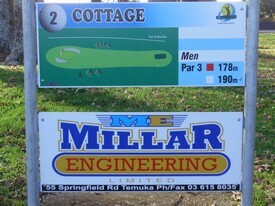 Straight forward Par 3, just avoid the mound and swale to the right and front of the green. Two mounds on the left of the green ensure the up and down is not a done deal. 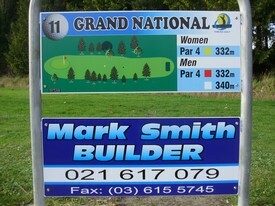 No 1 hole for women. 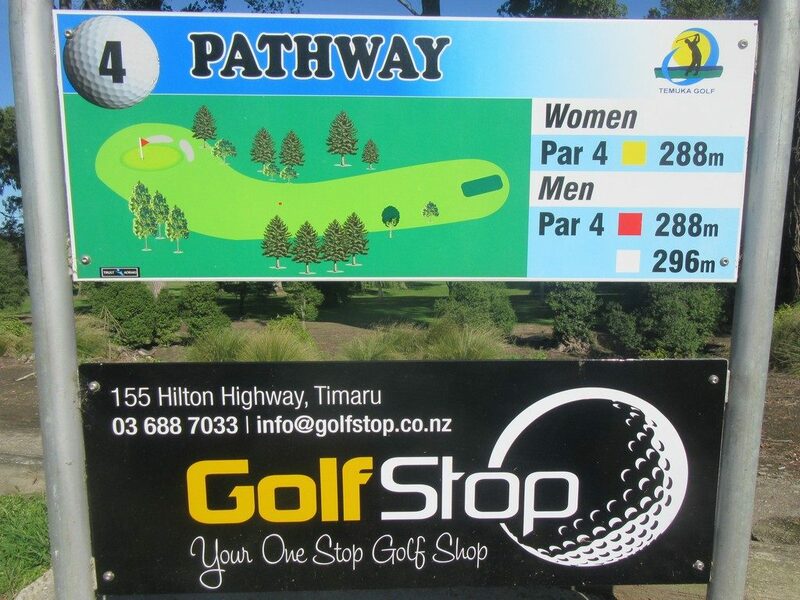 Not a long hole in metres but the dogleg 135m from the green, the protection of big pines on either side of the fairway at the dogleg, out of bounds the entire length of the hole and the prevailing easterly breeze make for a challenging hole and support the low stroke rating of the hole. An accurate drive is essential. 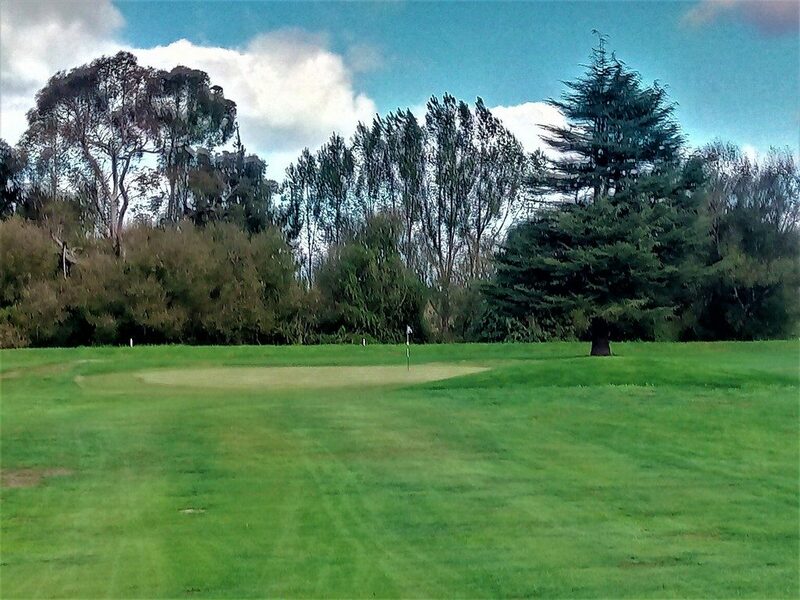 The front half of the green is sloped so shots to the green can be played with confidence however with sloping to either side the width of the green is narrower than it appears. 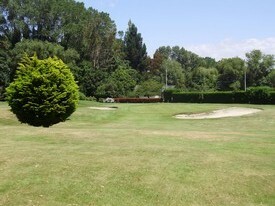 A bunker is positioned on the left and extends from the front to mid green. Don’t hit long as up and downs from behind the green have about a 10% success rate. 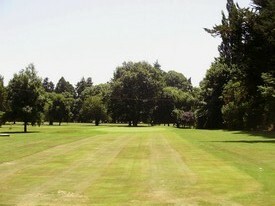 The slope and length of the green ensures that a two putt is not certainty. 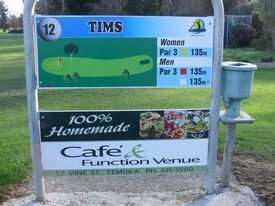 No 1 stroke hole for men. There are similar influencing factors to No 13 except the hole is 45m longer and out of bounds is closer on the right and more in play. Baling out to the left will leave no direct shot to the green. No 1 requirement is an accurate drive. A slight dogleg left sees middle to the right side of the fairway as the best position to attack the green which is sloped towards the front and will hold a ball. 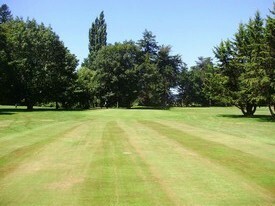 A mound protects the left side of the green. There is normally dense rough off the fringe so chip shots from here make an up and down no certainty. 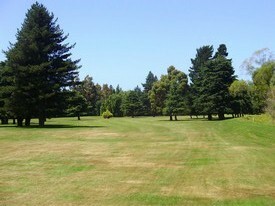 A mid length Par 3. 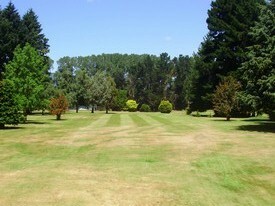 Mounds on either side and in front of the green create a target green. The green is sloped towards the front and will hold a ball but it also has slight sloping towards the sides so any shot to the edges will run off the green. Grass on the mounds is normally dense and sunken lies will make it difficult to control a chip shop. 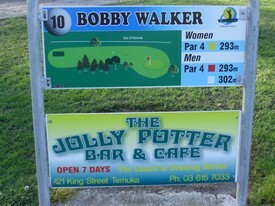 There are some challenging putts when the hole is towards the outer areas of the green. 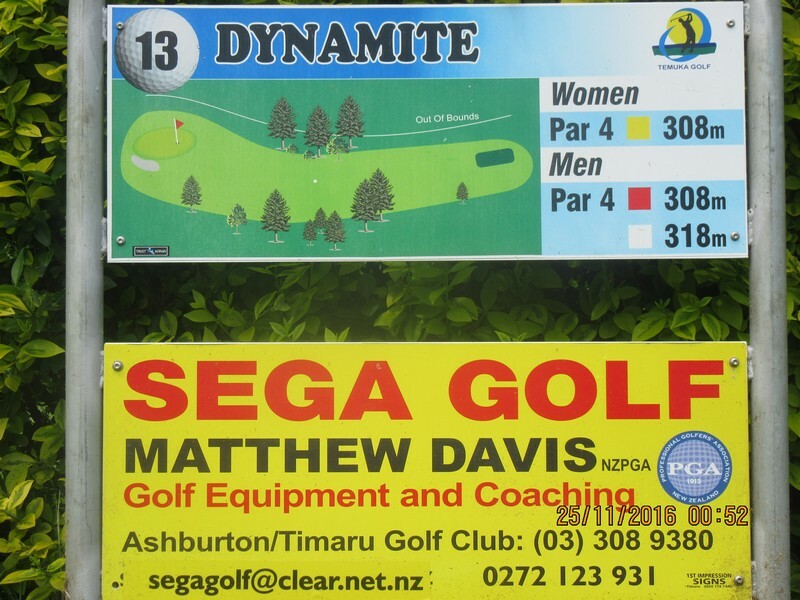 A long hole in metres but it is made a little easier with help from the prevailing easterly and the lack of out of bounds (unless you go 20m through the green). 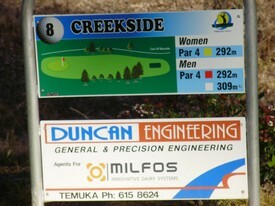 The hole doglegs right 140m out from the green. 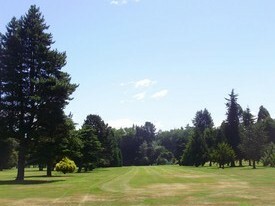 Off the tee the hole is well protected by tall pines 180m out. The best position off the tee is anywhere on the fairway although shorter drivers will be better placed for the second on the left side of the fairway. 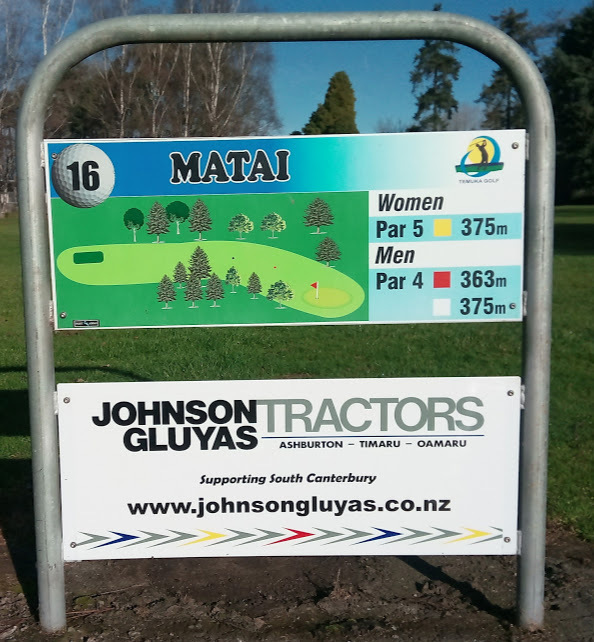 The green is sloped to the front and like a number of holes on the course and any ball hit through the green will be difficult to get up and down. 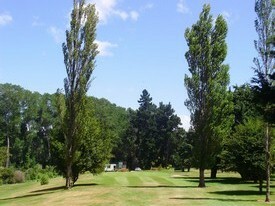 Trees are either side of the green but will only catch the widest shots. Plenty of challenging putts on this green. 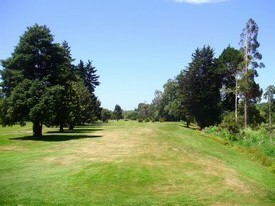 The dogleg left 150m out from the green and the prevailing wind make this a difficult drive for most right handers. Trees down the right side will catch any inaccurate shots and there is not much respite for similar shots down the left. The fairway narrows a little at the 135 mark but past here there is a clear shot to the green even if in the rough. The green has no protection other than roll off if shots to the green are too close to the edges. 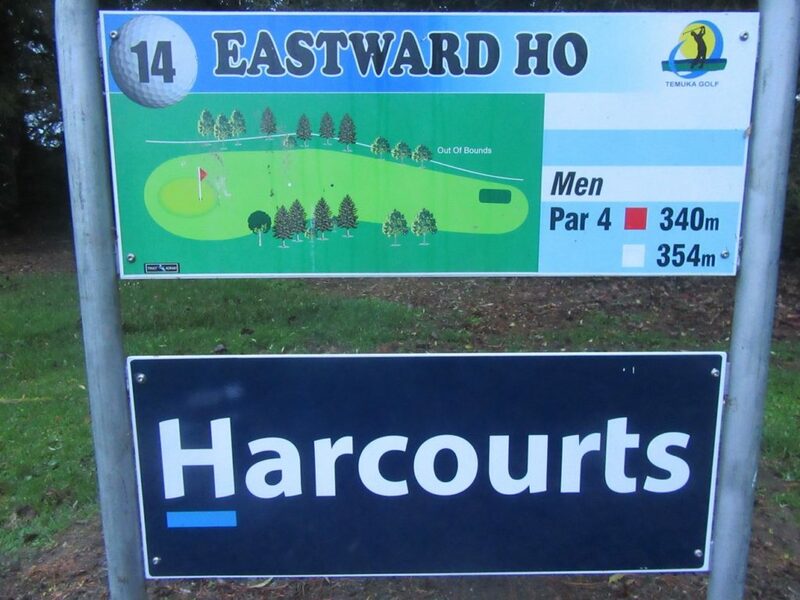 Not the longest Par 5 but easy to squander shots if not accurate. 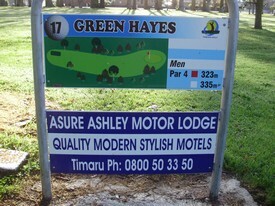 There is Out of Bounds down the length of the hole on the right and on the left up by the green. 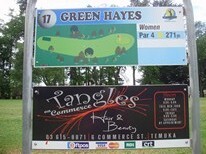 The fence on both sides is 10m from the green at the closest points. 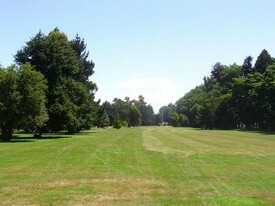 Mounds and conifers guard the left side 200m from the tee with a group of conifers located on the right 220m from the tee. 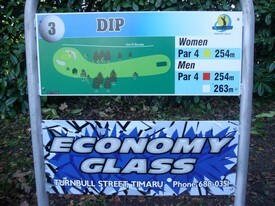 Avoid these and a par or birdie is in prospect. 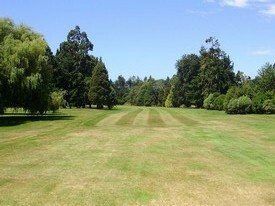 A second shot to the middle or left side of the fairway will get the best line into the green for the 3rd shot. 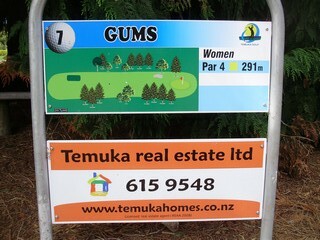 Also this keeps shots well away from a group of native trees just off the right side of fairway 120m out from the green. Don’t pull or push your 3rdshot as the out of bounds awaits. 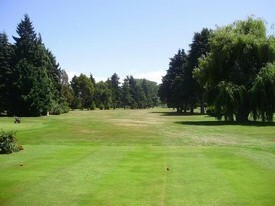 The green slopes to the front and normally will hold a ball. Watch your speed on downhill putts.